In what circumstance wouldn't a knight want to rescue a damsel in distress? 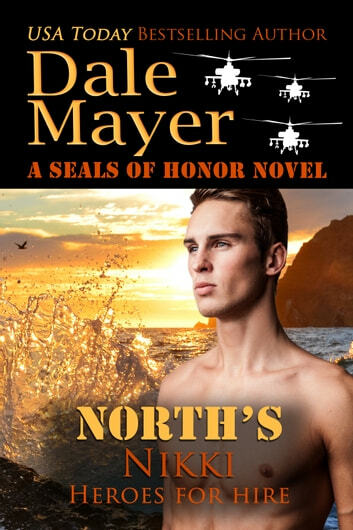 A former SEAL working for Legendary Securities, North Dockter has found the very circumstance that challenges even his stalwart, chivalrous ways. Nikki Beckwith is a firecracker who butts heads with him at every turn, refusing to follow orders or listen to his experience unless doing so suits her. When she discovers someone is smuggling drugs through her company's warehouse and her life is threatened, Nikki flees to her aging grandfather's home in England to lay low and regroup. He's always been there for her, and, if ever she needed a bolthole to make changes in her life, it's now. Maybe it’s time to return to the States…particularly after meeting North and realizing the attraction between them is more than she believed possible. But Nikki soon realizes that no place is safe after her grandfather is attacked in his home. Even with her gorgeous guardian angel hovering close by, will she be too late to make all the changes she's envisioned? This is the latest book in the Heroes For Hire series and it is another great story! I enjoyed the England setting along with the proper way to make tea. I imagine, here in America, with all of our coffee houses, coffee machines, coffee pods, froth, etc., it stands to reason that England is one of the leading countries that make traditional tea and are very precise about it. I enjoyed the loving relationship between Nikki and her grandfather. Especially when she realizes that he is not just an elderly member of her family but has ties to secrets and talents that governments all over the world utilize on a regular basis. Nikki learns that she is very naive when it comes to people that are up to no good and is learning that men like North and his friend, Anders, live in this lifestyle everyday. This story has a lot of intrigue, suspense and action. It also has some surprises that you didn’t see coming. Drama surrounds Nikki, an everyday woman with an everyday job, she finds herself verbally assaulted as she is following up on an clerical error and soon finds out that things are not always what they seem. North sees the possible danger sooner than Nikki and takes steps to investigate what could be more than just a clerical error, but before they all know it, there is murder and mayhem surrounding them. I enjoyed all of the twists and turns with the villains in this story. The suspense of who is really behind all of the secrets and murders is drawn out beautifully until the very end. North and Nikki finally find the time to pay attention to each other and the growing attraction they can’t ignore. Great story! I loved it! I found this story to be very entertaining . the humor is right on . the characters are so well filled out that I felt like I would know them if I met them on the street. It was hard to put the book down.Well done and Thank you Dale ! Another good book in this series. All the male heros in this series are so likeable. The suspense kept me going until the end. A good read. Good reading but why is there bosses killing those involved with them same or similar as what has been happening in the Seals of Steel series? Nikki's grandfather shows that once on the right side of the intelligence community, there is no retirement. He is feisty and resourceful and it's through him that Nikki and North solve the problem of drugs being brought in through the company she works for. The villains are relentless and do not hold any value in human life. A thoroughly enjoyable read and a worthy stablemate for the other books in this series.